Photo editing software, design programs, drawing software, programs for editing images, programs for free download Cyotek Gif Animator, WonderFox Photo Watermark, SkinFiner, PT Portrait, Quick Collage Maker, PT Watermark, XnSketch, Honeycam, Total Image Converter, Painnt Download for free! »» Free download Cyotek Gif Animator! Cyotek Gif Animator ::: a computer program that allows users to create animated GIF files. Using Cyotek Gif Animator you can use different photo formats to create animations. Cyotek Gif Animator is very useful for creating animations for web pages. »» Free download WonderFox Photo Watermark! WonderFox Photo Watermark ::: a computer program that allows users to edit photos. Using WonderFox Photo Watermark you can apply different watermarks to your photos. 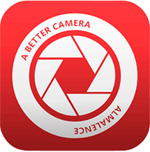 WonderFox Photo Watermark offers different adjustment tools and allows you to apply different filters and effects. SkinFiner ::: a computer program that allows users to work with digital photos. Using SkinFiner you can edit and modify photos in the most popular photo formats. SkinFiner is ideal for improving the quality of digital images. »» Free download PT Portrait! PT Portrait ::: a computer program that allows users to work with digital images. Using PT Portrait you can retouch and improve the quality of portraits in your photos. PT Portrait allows the removal of skin imperfections, application of eye brightness or face retouching. »» Free download Quick Collage Maker! Quick Collage Maker ::: a computer program that allows users to create photo collages. Using Quick Collage Maker, you can create collages using different templates included in the program library. Quick Collage Maker offers different options for zooming, enhancement and adjustment. »» Free download PT Watermark! PT Watermark ::: a computer program that allows users to edit photos. Using PT Watermark you can apply different watermarks to your photos. PT Watermark allows the application of different filters, special effects or text. XnSketch ::: a computer program that allows users to convert photos into drawings. Using XnSketch you can turn any photo into a splendid drawing. XnSketch allows the application of different effects and offers different tools for adjustment and improvement. Honeycam ::: a computer program that allows users to create animations. Using Honeycam you can create animated GIFs to publish them on websites. Honeycam offers different editing tools and allows you to apply different effects. 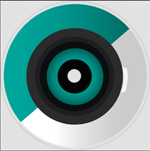 »» Free download Total Image Converter! Total Image Converter is compatible with the most common photo formats. Painnt has and allows to apply different filters and frames.